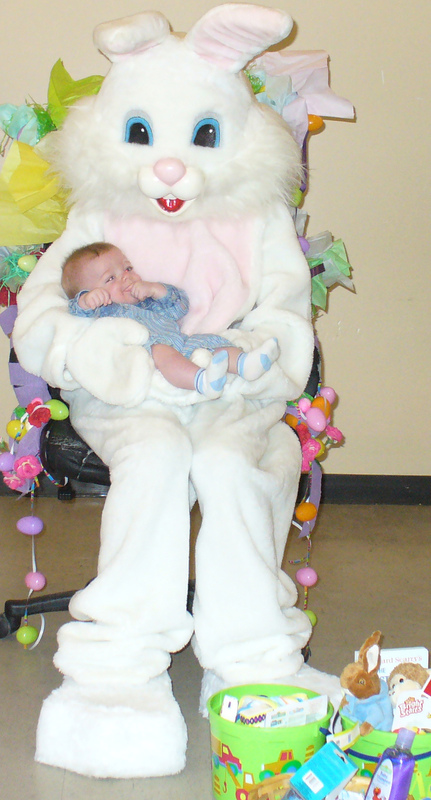 On Easter Sunday afternoon, the children of Brisben enjoyed a special visit from the Easter Bunny, who came dressed in his Sunday best ready for pictures with the children. He delivered Easter baskets filled with treats, treasures and toys! Special thanks to the Easter Bunny (Tom Brem and his daughter) and to Mothers of Multiples, Eileen Pletz, Sherri Mack, Saint Jude Catholic Church Middle School and High School youth groups, Sabrina Anderson with Coldwell Banker Carriage House, County Line Baptist Church, and Destiny Church for making Easter special for the children at the Center.